In the time before time, the great business LEGO faced great darkness. Sales of LEGO toys plummeted, and royalty payments sucked away at their profits. The great LEGO was in financial trouble. Then, six great heroes wielding the power of the elements appeared to combat the darkness and restore LEGO’s status. Thus, a new legend for the next generation of children was born: the legend of BIONICLE. 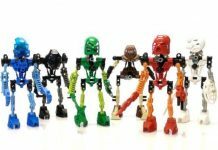 Running from 2001 to 2010, BIONICLE was one of the most significant lines of sets that LEGO ever created. It combined the buildable aspects of LEGO with the fun of action figures to create a unique hybrid of the two. Moreover, it revitalized children’s interest in LEGO and took it to greater heights. Its enduring popularity even brought about a short-lived reboot, bringing the legend to a new generation of kids to enjoy. 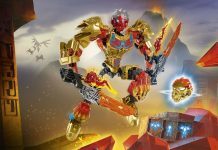 Find BrickMaster001’s Best 10 Original LEGO BIONICLE Sets here. Fun fact: Did you know that the Matrona were originally known as the Tohunga. LEGO was forced to change their name after the Maori people threatened to sue them for it. Another fun fact: LEGO held several contests for people to behold their own characters and animals from BIONICLE sets and give them their own backstories. The best would be added to the in-universe canon.